About Thank you for your interest in our club. 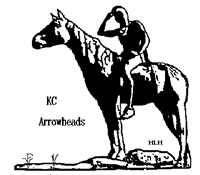 The Kansas City Arrowheads Chapter of P.O.C.I. has been in existence since January of 1987. We are a local chapter of the Pontiac-Oakland Club International (Chapter #45)l. Our club is a mixed group of single, married, and family members who are interested in the preservation, restoration, maintenance and enjoyment of all models of Pontiacs and Oakland cars.